House files carry tons of pathogens and infections with them. Flies dwell on some of the dirtiest things around us. Mostly, you take help of pest control or some chemical spray to get rid of flies. But they do not seem to help you in a long run since you have not worked on the cause. Also, usage of chemicals has a side effect on your health. But do not worry, there are a couple of tried and tested natural home remedies to keep them at bay. 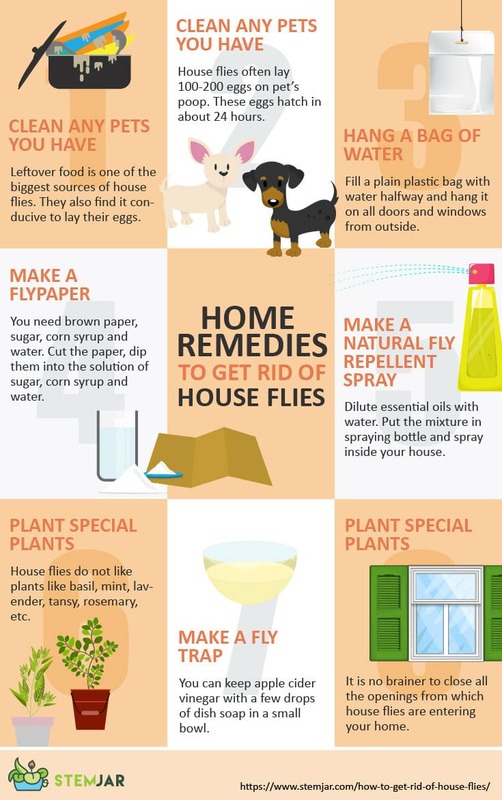 Here is how to get rid of house flies. It is no brainer to close all the openings from which house flies are entering your home. Usually, your door and window might have small passages or tears. Caulk those gaps with proper sealant. Sometimes, the weather stripping around windows and door malfunctions and you may need to either replace or fix it. Lastly, if flies are getting inside while you are opening and closing the door or window then make sure not to open them continuously for a longer duration. If you like planting a few plants in and around your home, then include these different picks, such as basil, mint, lavender, tansy, rosemary, lemongrass, etc., on your list. House flies do not like these plants at all. Also, these plants may find some use in your kitchen too. I usually grow them on my kitchen windowsill. By now you know that flies do not like plants like lavender, rosemary, mint, etc. So, how about making a natural fly repellent with their natural oils. Make sure to dilute these essential oils with water. Put the mixture in spraying bottle and spray inside your house. It will not only keep house flies away but also will save your money on room sprays. Another way of using these essential oils is by keeping them in a diffuser and place it somewhere where flies are an issue. Leftover food, wine, juice, fruits, etc. 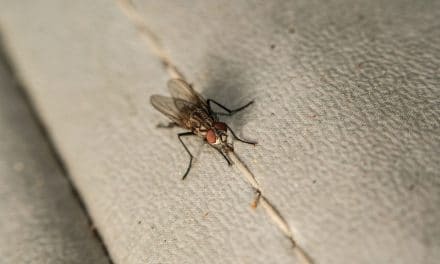 are one of the biggest sources of house flies. They also find it conducive to lay their eggs. Do whatever it takes to avoid such a mess in and around your house. Clean the dishes and utensils as soon as et your food. Clean your trash bin on a regular basis. Maintain a proper hygiene around trash bin area and keep it closed always. Keep compost in a sealed container. Occasionally wash your garbage container with hot soap solution. If you love keeping pets, then you would also have to keep a few things clean around them. House flies often lay 100-200 eggs on pet’s poop. These eggs hatch in about 24 hours. In short, you will have around 200 flies invited into your house within a day. This is no good. Scoop up your pet’s poop as soon as possible and keep their cage or resting area clean. 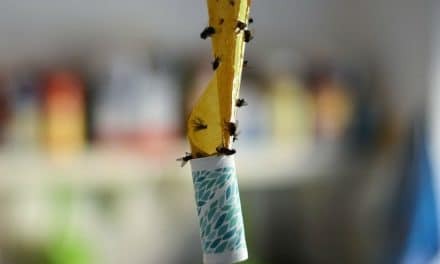 You can make a variety of house fly traps at home. For example, you can keep apple cider vinegar with a few drops of dish soap in a small bowl. 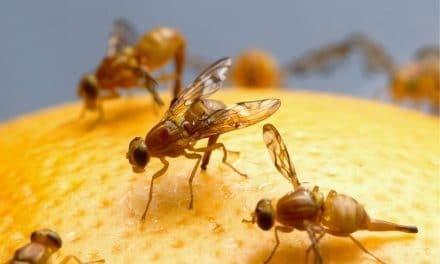 House flies love vinegar smell and will fall for it. Dish soap will break the surface tension and will glide flies inside the solution. You can give a little twist to the previous method by not mixing vinegar with dish soap and covering the bowl with a plastic wrap. Piece a small hole on the plastic cover, suitable enough to let the flies pass through. A fly is not smart enough to come out of this hole. Another trap for house flies is by leaving a small amount of red wine in the bottle. A fly loves wine smell and will go inside the bottle. It is less likely that it will find its way out of the bottle since it has a narrow opening. There are readymade fly papers available in the market. But you can even make one at home. The process is pretty much straightforward. You just require a few things like brown paper (or craft paper), sugar, corn syrup and water. Cut the paper into long strips and dip them into the solution made up of the equal amount of sugar, corn syrup and water. The solution must be stirred on a saucer pan for some time on the heater to dissolve the sugar completely. Take out the piece of papers from the solution carefully and hang it somewhere where you do not have food or carry out any activity. House flies will sit on this paper and will stick to it forever. Now, this method does not have any scientific proof, but it works. You just have to fill a plain plastic bag with water halfway and hang it on all doors and windows from outside. They will keep house files at bay for sure. Some evidence suggests that flies visually get confused with these bags.